“Seventh-day Adventist congregations in Florida and California have reached out to LGBT+ communities in the wake of yesterday’s massacre at the Pulse gay club in Orlando, Florida. The shooting claimed the lives of fifty people and wounded fifty-three more,” reports Jared Wright for Spectrum. “On the opposite coast, the Glendale City Adventist Church in Glendale, California will host a community vigil to honor the victims tomorrow (Tuesday, June 14). From 11:00 am to 7:30 pm, the doors of the sanctuary will be open for mourning and reflection. At 7:30 pm, the church will host a service of remembrance.” Read Spectrum’s full article here. The Glendale City Adventist Church is a member of the Adventist Peace Fellowship Peace Church Network. Additionally, pastor Dan Jackson, president of the Seventh-day Adventist Church in North America, released a statement about the mass shooting. We strongly denounce the hate that led to this mass shooting. This type of senseless violence has no place in this country or in this world. It is appalling that these lives were tragically cut short because of hate. We pray that God’s love will comfort and console the victims’ loved ones whose lives have become a nightmare overnight. Jackson’s complete statement can be read on the NAD website. Firm and unconditional is our condemnation of all acts of terror, violence and oppression. May weapons, hate and violence cease! No religion is responsible for terrorism. People are responsible for violence and terrorism. We are all brothers and sisters, children of one same Father. Our hearts and prayers go out to the people of Brussels who have sustained terrible explosions causing death and destruction. One of those blasts was very near our Seventh-day Adventist headquarters for that region. I have prayed for the people of Belgium and for our church members who can be a spiritual strength to others in this very difficult time. We thank our youth for having encouraged many in the city, including the police station, this last Sabbath on Global Youth Day....may our youth and members continue to provide Christ’s ministry of love and compassion in Total Member Involvement during this traumatic situation. Today, during our General Conference committees, we will earnestly pray for the country of Belgium, our church members and the families affected by this terrible tragedy. 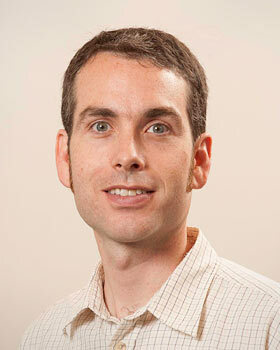 Chris Blake is an Associate Professor of English and Communication at Union College. He’s also the Chair of Lincoln’s Interfaith Peacemaking Coalition, an organization which—in celebration of their 30th anniversary—has pledged to lead their community in committing “10,000 acts of peace.” This goal was set in support of a ten-year international initiative, “One Billion Acts of Peace,” led by the PeaceJam Foundation. To learn more about PeaceJam, Lincoln’s peacemaking goal or their upcoming event, read the full article from the Lincoln Journal Star. Pastor Herb Montgomery, through his ministry Renewed Heart Ministries, deals with many themes relevant to Adventist peacemakers. For starters, check out his recent podcast that draws on the notable work of Walter Wink -- Renouncing Rights (more podcasts). His earlier series on nonviolence is quality as well: "The Active, Nonviolence of Jesus" – Part 1, Part 2, Part 3, Part 4, Part 5, Part 6, Part 7, Part 8, Part 9. Participants submit ideas via the APF Contact page. The deadline is Sunday, February 7, 2016. The APF Board of Directors will select the winning podcast name. The winner will receive a copy of Do Justice (Brown and Darby, 2015), and they will also be mentioned in the first podcast. Thanks for sharing your creative ideas with us! Walla Walla University will be hosting another peacemaking week, which will coincide with Martin Luther King Jr Day (Jan. 18-23). See the flyer below for more details (and click here to read about WWU's 2015 peace week). You may also download the flyer -- Peacemaking_MLK Poster (PDF). As sojourners and pilgrims ourselves, we recognize that we are all expatriates who have been called to manifest the principles of God’s eternal kingdom in all of our decisions. As people with patriotic sympathies, we understand the power of the type of fear that saps human compassion, but we believe that we ought to always practice the perfect love that casts out all fear. As creatures of national cultures, we acknowledge that we are comfortable with the familiar; however, our commitment to Christ compels us to reject xenophobia, outright racism and competitive religious extremism. As members of the human family, we accept all men and women as our siblings, regardless of their religious confession or country of origin. As followers of Christ, we will be the Good Samaritan to the victims of war; we will willingly clothe the naked, feed the hungry, care for the sick, visit the imprisoned and receive the refugee. We invite others to do the same. The theme of this year's Adventist Society for Religious Studies (ASRS) annual conference was "Adventism in the Public Square." William Johnsson, who was the first president of ASRS, gave the following sermon entitled, "Leaving the Comfort Zone: From John the Baptist to Jesus." Dr. William Johnson's Sermon "Leaving the Comfort Zone: From John the Baptist to Jesus" at the Adventist Society for Religious Study 2015 Annual Conference in Atlanta, GA on Sabbath morning, November 21, 2015. Dr Johnson was the first President of the ASRS in 1979. The Adventist News Network, the official news service of the Seventh-day Adventist denomination, published the following story. The Seventh-day Adventist Church and its members worldwide offered prayers and support for Paris after a series of shootings and explosions killed scores of people. France declared a state of emergency and closed its borders after at least 100 people were reported killed in a concert hall and others died attacks on restaurants and near a stadium on Friday night. Mario Brito, president of the Adventist Church’s Inter-European Division, whose territory includes France, voiced “deep consternation” over the events in Paris. “We express our solidarity with all French people,” he said in an e-mailed statement. It was not immediately clear who was behind the attacks. Adventist believers around the world took to social media to express their sorrow and to lift up the people of Paris in prayer. The hashtag #PrayforParis was trending on social media. ADRA International, the church’s humanitarian and relief agency tweeted that “our prayers are in Paris tonight.” “Please join and pray for our brothers and sisters who are now victims, survivors, hostages, and their families,” it said. “Let’s keep Paris and the families affected by the tragedies in prayer,” said the Allegheny East Conference, which oversees the work of 96 historically African-American churches with 31,000 members in Delaware, the District of Columbia, Maryland, New Jersey, Pennsylvania, Virginia, and West Virginia. John Bradshaw, speaker and director of It Is Written television, said he was saddened but not surprised by the events. Some church members expressed concern about what impact the attacks might have on migrants. Europe is grappling with its biggest migrant crisis since World War II as hundreds of thousands of people fleeing wars in Syria, Iraq, and Afghanistan seek to resettle on the continent. “[I’m] devastated just thinking of the effects this will have on refugees already facing a terrible winter and more,” said Ashley Eisele, senior content manager for ADRA International. Christopher Holland, speaker and director of It Is Written Canada, said the attacks offered a reminder that Jesus’ return was near. “The Paris situation reminds us that Satan is the ultimate terrorist, seeking whom he can destroy because he knows his time is short,” he said. I am excited to announce an important leadership change for the Adventist Peace Fellowship. Effective immediately, the APF welcomes Jeff Boyd as our new executive director. Jeff is a dedicated peacemaker with impressive experience as an activist, writer, and peace organizer. He has been a member of the APF for many years, serving for the past two years as Secretary on our executive board. A graduate of Union College, his list of qualifications and achievements includes earning a Masters degree in Peace Studies from the Anabaptist Mennonite Biblical Seminary, serving as managing editor of Adventist Today, and participating in numerous rallies and demonstrations for peace and social justice. Jeff has been a vigorous supporter of campaigns to close the School of the Americas (WHINSEC), to end indefinite detention at Guantanamo Bay, and to confront police brutality. For all of these reasons, the APF executive board unanimously voted to ask him to serve as director of our organization. Since our founding in 2001, the APF has sought to keep alive a distinctive ethic of conscientious objection and nonviolent peacemaking following in the radical footsteps of many Adventist pioneers. During the first 10 years of our existence, APF co-founder and church historian Douglas Morgan served as our executive director, spearheading a wide range of initiatives. In 2003, he launched an email newsletter and website providing commentary, news, and resources for peace advocacy in the midst of America’s rush to war in Iraq. The same year, the APF received 501c3 tax-exempt status from the State of Maryland as a non-profit organization. In 2005, Doug edited and published the APF’s first book, The Peacemaking Remnant, which has been used in college courses as an introduction to Adventist social ethics and the history of Adventist pacifism and conscientious objection. In 2011, I agreed to serve as APF’s director, working to expand our focus beyond questions of violence and war to matters of peacemaking and social justice in a more holistic sense, including: care for creation, economic justice, freedom of conscience for persons both inside and outside of the Adventist community, racial and gender equality, and the nexus of health and human rights. Over the past four years, we launched a new website with resources for peacemakers, built a small but growing network of certified Adventist Peace Churches, supported the creation of the first APF student chapter (at Andrews University), and set in place an APF grant program for both groups and individuals. The Adventist News Network reports that "Adventist young people took to the streets of major cities in Honduras last week to as thousands of protesters from many faiths marched against government corruption. More than 10,000 Adventists holding signs and banners marched in Tegucigalpa, the capital, as well as in La Ceiba, San Pedro Sula, and dozens of other cities" (posted on Adventist Today). There have been numerous marches recently calling for an end to political corruption. The report continues: "'Our Adventist young people gave a clear message to our Honduran population that unless citizens seriously commit to keeping all of the commandments of God, there won’t be positive changes to help the country forge ahead,' said Pastor Adan Ramos, president of the Adventist Church in Honduras. As part of the demonstration, Ramos spoke in the main squares of Tegucigalpa and La Ceiba." Read the entire ANN article here. Yi Shen Ma (volunteer development director for the Adventist Peace Fellowship) spoke at the Hollywood Seventh-day Adventist Church on May 30, 2015. Spectrum magazine published the sermon--The Peace of Christ or the Peace of the World?--which marked the first annual Adventist Peace Sabbath. In his sermon, Yi Shen "explores how a Christ-centered conception of peace might be different from the peace of the world. It also suggests that, far from being an otherworldly reality, Christ's peace should be understood as the unexpected in-breaking of God's peaceable reign." The 2015 General Conference Session of the Seventh-day Adventist Church will soon convene in San Antonio, Texas (July 2-11). This world-wide gathering of Adventist leaders and laity occurs every five years for the purpose of making denominational decisions and electing leaders. The Adventist Peace Fellowship will have an exhibit at this year's event, and we are looking for people to join us at the booth, welcoming people who pass by. All you need is a friendly smile and a desire to spread APF's message of peace and justice. We'll help all volunteers prepare for the most common questions. We need volunteers to sign up for hours when you can be at the booth, telling people about our actions and goals. We hope to have two or more people at the booth at all times. Please click here to register as an APF representative at the booth. And if you'll be at the GC Session, please stop by our booth even if you aren't able to volunteer with us. Come say hi! Approximately 130 Seventh-day Adventist young men were conscripted between 1916 and 1918, some serving in Non-combatant corps, others spending time in prisons or work centres across the country. A generally pacifist religion, Adventists held strongly to the principles of the 10 commandments, including the 6th, “Thou shalt not kill”. They were believers in civil and religious liberty but could be described as ‘conscientious co-operators’ rather than absolute objectors to the country’s conduct in war. Hulbert shares that "The tribunals generally respected their refusal to bear arms – but that was the only exemption." William George Chappell worked selling Christian literature. He was called to a tribunal in Brynmawr, South Wales on 25 March 1916. In his notice of appeal he stated that “as I am a Seventh-day Adventist [I] am opposed to war.” Noting Bible verses that supported a pacifist stance he stated that he felt it more important for him to ‘go preach the Gospel’ than to be involved in the war. The tribunal disagreed stating that his work was ‘not of national importance’ and only exempting him from combatant service. Read the entire article at Everyday Lives in War. Photo: "Adventist Conscientious Objectors in Dartmoor Prison." Posted by Victor Hulbert at Everyday Lives in War. The Adventist Peace Fellowship is a 501c3 non-profit organization and independent lay ministry founded in 2001 that seeks to raise consciousness about the centrality of peacemaking and social justice to the beliefs and heritage of Adventists. We provide a wide array of resources for Adventist peacemakers, including a certification program for churches committed to working on peace and justice issues as a central part of their identity and mission. Five Seventh-day Adventist churches spread across the United States have passed resolutions to be known as Adventist peace churches, and one church, Glendale City, has already completed certification. One additional Adventist church located in a region of Papua New Guinea marked by constant violent tribal skirmishes has expressed a strong interest in becoming a peace church that models principles of nonviolent peacemaking and reconciliation. The blurb linked to a longer article posted on the Ministerial Department website. The information can also be found on Facebook. In April 1915, an edict went out from the government of the waning Ottoman empire for the removal and execution from what is now Turkey of every Armenian, man, woman and child. Over the next ten years, approximately 1.5 million Armenians were killed by gun, sword, drowning, crucifixion, immolation and more. Raphael Lemkin, a polish lawyer who spent his life working to prevent and punish those responsible for mass killings, coined the term “genocide” to describe what was done to the Armenian people. On April 24, 2015, the nation of Armenia and the Armenian diaspora pause to grieve this atrocity, to give thanks for those who came to their defense during this time of terror and to protest governments, including Turkey and the United States, who still will not acknowledge this event for what it is: a holocaust upon the Armenian people. The Glendale City Seventh-day Adventist Church is located in a city adjacent to Los Angeles whose population is made up of over 100,000 people of Armenian descent, almost half of Glendale’s citizenry. For the past 35 years, the church has hosted an Armenian-speaking worship service on its campus each Sabbath in addition to having a number of Armenian-descent members who worship in its English-speaking worship. On April 18, this congregation hosted a Day of Remembrance, a collaborative worship gathering hosted by the English- and Armenian-speaking congregations. Dr. Hovik Saraffian, the pastor of the Armenian congregation and a voice for Armenian Adventists around the world, presented the history of the genocide, called for Turkey’s repentance and expressed confidence that God’s righteousness would ultimately be triumphant over all evils in our world. The 40-voice Armenian Society of Los Angeles Chorus provided traditional Armenian songs that celebrated the heritage of the Armenian people, lamented the atrocities of a century ago, grieved God’s apparent absence during this awful time and, at the same time, celebrated God’s work in courageous men and women who stood up to do the work of God in the face of monstrous violence. Over 100 guests of Armenian descent attended the Day of Remembrance. Afterwards, you could hear people sharing the stories of their ancestors, how their parents made it to an orphanage or how their grandparents were able to escape to a neighboring country. One guest told me how her mother was being taken by boat with dozens of others into the Black Sea to be drowned. Just before she was thrown overboard, she was pulled aside because the executioners thought she must not be Armenian because of her blonde hair and blue eyes. For those in attendance who were not of Armenian descent, it was an eye-opening experience to be immersed in the story of the genocide. Because the events that began in 1915 have never been formally acknowledged by the United States, many Americans grew up, myself included, never having a history lesson about what happened. Many people expressed their gratitude at the opportunity to learn of this history and experience the sorrow of their Armenian neighbors. Hosting this gathering is part of Glendale City Church’s commitment to be an Adventist Peace Church working to follow Christ’s call to bring peace into our city through community service, ecumenical relationship-building and gatherings that highlight the need for and celebrate those who do the work of peacemaking locally and around the world. The Day of Remembrance service can be viewed in its entirety online at www.CityChurch-Online.org. The Adventist Peace Fellowship has designated May 23, 2015 as the first annual Adventist Peace Sabbath. May 23 is the Sabbath before Memorial Day in the U.S. calendar and so an occasion when some churches in the United States devote part of their service to honoring those who have served in the military. In view of the Adventist tradition's official stance of conscientious objection in times of war, and in view of the sacrifices and heroism of countless noncombatants and pacifists throughout history (including many Adventists), we are urging all Adventist churches to treat this day as an occasion not for glorification of military victories or military service but rather for somber remembrance of the terrible loss of human lives in war, including both combatants and innocent civilians. Adventists and the Death Penalty: Why Are We Silent? I searched the names of the signatories in the statement hoping to find a representative of the Adventist Church among them. I reasoned that Human Rights issues are very dear to the Adventist Church since we are also defenders of Religious Liberty – for us a central Human Right. I also thought that "created in the image of God“ is a core theological theme of our church and much more important than the question of the chronological details of creation that are about to be adjusted in the fundamental beliefs at San Antonio 2015. "Created in the image of God" is for me one of the central religious concepts and the basis for protecting the human dignity for all persons. Confident that I would find an Adventist among the signatories, I searched the list of more than 400 names. But there was not a single Adventist voice among them! All Adventists in every region of the world have cultural and religious imprints. Swiss Adventists have a very different background than American Adventists, including in regards to the death penalty. But it is hard for me to accept that our church publishes statements on many minor issues or matters of lesser importance yet none about this very central issue: the sanctity of life and efforts to end the death penalty world wide. When will the Adventist Church not only launch a worldwide campaign to end violence against women – which is very important - but also an initiative to abolish the death penalty as an inhuman act? Some of our pioneers fought for the abolishment of slavery in the US although it was not abolished in the Bible. Abolitionism was a position that was not supported by all Christians. It seems to me that the moral questions are quite similar in regards to the death penalty. The Swiss Federal Department of Foreign Affairs (FDFA) is promoting as a long-term objective the worldwide abolishment of the death penalty by 2025. I appeal to the North American Adventist Church to sign the call of the 400 in the US. And I also appeal to the worldwide Adventist Church leadership to take a "pro life" stand and fight for the abolishment of death penalty. On March 12, 2015, students and professors gathered in Newbold auditorium at Andrews University to hear how doctors in western Galilee are using medicine to build trust and promote peace between Israel and Syria. Dr. Arie Eisenman and Dr. Ohad Ronen shared how the Galilee Medical Center has begun to care for Syrians who have been wounded in the ongoing Syrian Civil War. Injured Syrians who are brought to the border are transported by the Israeli government to the Galilee Medical Center. While at the hospital, no questions are asked: anyone who is injured is treated, whether they are a member of ISIS or a civilian. Dr. Ronen described the surprise of many of these patients – who typically view Israel as the enemy – when they wake up and find themselves being treated in an Israeli hospital. While only wounded individuals were originally being brought to Israel for care, the word has spread and some noncritical patients are coming to the border for help, such as pregnant women who cannot acquire adequate medical care within Syria. Dr. Ronen hopes that providing for the medical needs of these Syrian patients will build trust between Syria and Israel, with those who have been cared for in Israel returning to share their positive experiences with family and friends once they have recovered. As someone who is working towards a career in medicine, it was inspiring to hear how even doctors that don’t devote their careers entirely to humanitarian work can have opportunities placed in their path to help people in need and even promote peace in a world full of upheaval.